Thread: NEW: Salvador Dali - Daligramme Collection of 5 Fragrances For Women! The surreal Sea Horse is the most complex of the Daligrams. It evokes the inspiring power of Gala, which is instilled in Dalí, fertilizing and nourishing his creative force. Ma Force is a mesmerizing scent that emanates an enigmatic power, a perfume that gives confidence. “I was inspired by the almost mystical power of Gala that shaped Dalí. I imagined a fragrance in which to draw strength, to create, affirm and fulfill oneself. The energetic petitgrain, along with elemi essence and powerful Jungle Essence TM black pepper, provide energy and freshness. Jasmine absolute notes vibrate in unison with incense and heliotrope flower to form a powerful and sensual heart. The voluptuous amber, the woods of oud and sandalwood give the fragrance a mysterious aura. A fragrance with magnetic scents that leaves no one indifferent” - explained Veronique Nyberg, perfumer of the composition. Naturally, it is Gala who is symbolized by this Daligram in form of a crown. Gala, Dalí's queen, is also the one who decides everything. Ma Reine is a powerful and lush fragrance, the uncompromising manifesto of a triumphant love. “To compose Ma Reine, I thought of a woman of power, with audacious and impetuous personality, a great lover. I interpreted the sharp side with the spiciness of the bergamot which echoes the pink berries. But this woman is also a ravishing queen, very seductive. A heart of jasmine sambac absolute takes over and overwhelms all the senses. The jasmine, “queen of flowers” in Indian, leads the ball adorned with the scent of iris absolute and orange blossom. The roundness of vanilla notes forms like an enveloping cocoon. A sensual and voluptuous perfume, a prelude to an irresistible desire…”- explained Mathilde Bijaoui, perfumer of the composition. Gala and Dalí, united by life and for life. But also this paradox between the devoted muse and the woman who cannot help but seduce. It is a fragrance that one wears to charm, or to reconquer, and may also be one of those that one will keep for life. “I imagined Ma Vie as a perfume of seduction towards which one would always want to return, as caught in its own trap. For this reason I chose to create a chypre, as attractive to others as it is addictive to oneself. A touch of rum, intoxicating and exhilarating, and the rose from Turkey absolute, fiery and passionately united to the lily. And because their love was not ordinary, I added an unexpected touch of Jungle Essence™ hazelnut that shakes up the patchouli leaves and reinforces the addiction. A fragrance with an elegant, mysterious, and wonderfully seductive trail” - explained Mathilde Bijaoui, perfumer of the composition. Gala and Dalí. Ma Flamme takes us into a carnal world of vibrant sensuality and eternal seduction. “For Ma Flamme I wanted to create an animalistic perfume, a sensual and burning amber, in the image of their exclusive and passionate love. The spiciness of bergamot contrasts with the aromatic vapors of absinthe and Russian sage, both sweet and herbaceous, coming to distill a bit of Slavic soul, like a wink to Gala's origins. The enticing and voluptuous amber with the red rose from Turkey, symbol of an infinite and passionate love combine in perfect harmony orchestrated by the richness of the base, where the velvety and captivating tones of the carnal suede ally with the character of the essence of cistus. A perfume like a loving embrace, without restraint" - explained Alexandra Carlin, the perfumer of the Ma Flamme composition. Gala The Muse, surrealist and inspiring muse, living myth, glorified by Salvador Dalí. An enchanting fragrance that distills a sweet scent of grace and perfection, adoration of the loved one. accents, teases the senses with delight... At the same time solar and caressing, Ma Muse is incarnated by three splendid white flowers: the bewitching and arousing tuberose, velvety jasmine and inspiring and sensual vanilla orchid. And then, Gala being a leading woman, I interpreted this facet of her personality with carnation, a flower with personality with its slightly leathery and addictive notes. A radiant and warm wake that resonates like a promise of happiness” - explained Amelie Bourgeois, perfumer of the composition. The fragrances belong to DALIGRAMME COLLECTION and are available in 100ml eau de Perfume flacons from 2017. Last edited by hednic; 18th October 2017 at 09:19 PM. 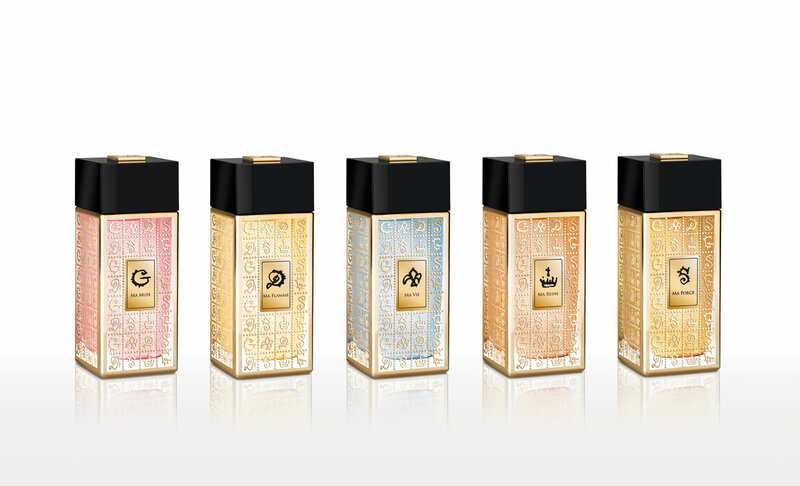 Re: NEW: Salvador Dali - Daligramme Collection of 5 Fragrances! Thanks for sharing this hednic ! I'm very fond of a lot of Dali releases especially the first Dali mens and womens releases and Le Roy Soleil Homme. ps... (please email me - I've lost your email address -thanks).